FHA 203k Loan | CalStar Mortgage, Inc. 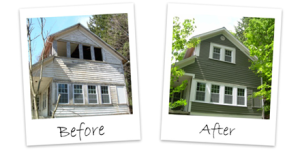 Whether you’re interested in purchasing a residential home that requires renovation work or would like to upgrade your current living space, an FHA 203(k) program may be the perfect financing option for you. Designed to eliminate unnecessary paperwork and simplify the financing process, an FHA 203(k) loan can take the guesswork out of purchasing or renovating a home. In the past, homebuyers would have to apply for multiple loans in order to purchase a fixer-upper. Now those loans are conveniently packaged in one FHA 203(k) loan. While one-to-four family dwellings that are strictly being used for residential purposes are eligible for the loan, you may be wondering what makes you eligible for the loan. Are there minimum credit scores? Are first-time homebuyers eligible? How much cash should you have saved up? Whether you’re concerned about your FICO credit score or maximum loan amount, here are some 203(k) loan requirements that will make you 203(k) eligible. When it comes to taking out loans, whether it’s for a car or a home, your credit score will always come into play. Fortunately, it’s getting easier for homebuyers to get approved for an FHA-backed home loan. If you currently have at least a 620 FICO score and 3.5 percent down, you may be eligible for an FHA 203(k) loan. Additional requirements need to be met for those whose FICO scores below 620. If you haven’t owned a home in the past three years, you would be considered a first-time homebuyer, and have a multitude of loan options made available to you – including the FHA 203(k) loan program. While 203(k) loan programs are a great financing option for first-time homebuyers, they are not limited to those who have never owned or a home. As long as you live in, or plan on living in, the home in question and meet all other FHA 203(k) requirements, you’re eligible for the 203(k) loan program – regardless of your home owning history. While FHA loans are open to everyone, they’re often considered a first-time homebuyer program for a variety of reasons. First-time homebuyers don’t typically have much money for a down payment, and FHA loans only require a 3.5 percent down payment. Additionally, homebuyers with lower credit scores who may have difficulty being approved for other home loans may find themselves eligible for an FHA 203(k) loan.